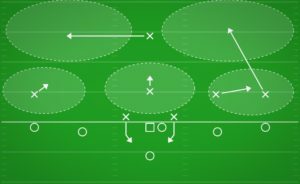 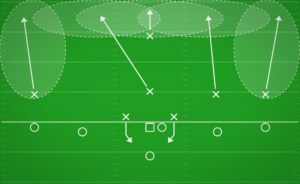 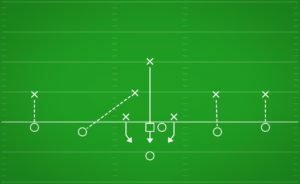 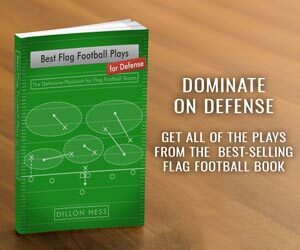 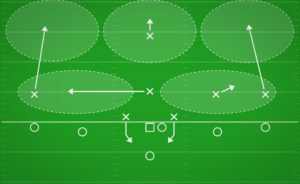 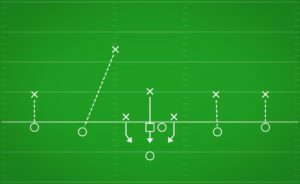 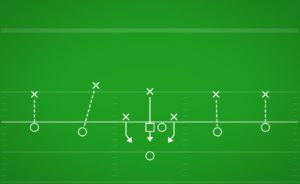 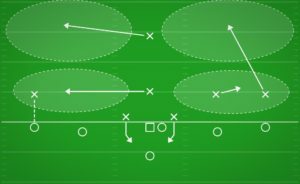 The 2-1-1 defense is the flag football equivalent to the Dime defense that has been growing in popularity in professional football at the NFL. 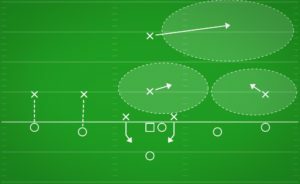 Whereas most defenses only feature two Cornerbacks, this defense brings in a third Cornerback. 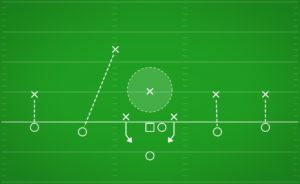 Three Cornerbacks on the field at the same time allows your defensive secondary to play closer up to the receivers at the line of scrimmage. 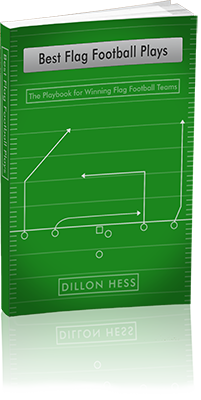 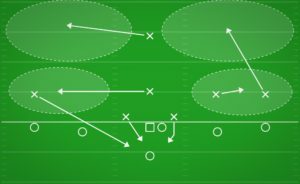 Additionally, the 2-1-1 Formation is a great lineup for man-to-man plays because there are more athletes available in the secondary to guard receivers. 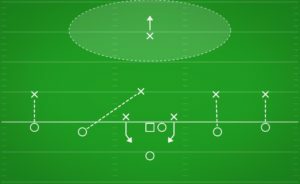 Two Rushers on the line of scrimmage will enable you to create disruption in the Quarterback’s normal flow in the pocket.